Louis Veya, after being instructed by Georges Joset, began to tie CDC flies, sedges and hackled and winged flies in the forties. 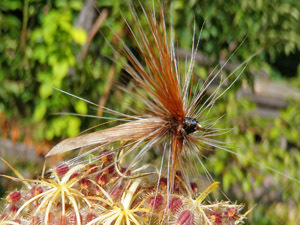 His flies, not only the CDC flies but also the rafia body sedges were tremenduosly successful- and still are today. 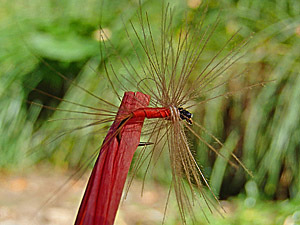 Veya flies were made since 1942 by the members of the family. They were sold directly by Veya in his shop, but also to flyshops in Switzerland or via distributors like Jenzer Basle. Old Louis Veya originals are not longer sold, and only availalble for collectors (to enormous prices). For our customers, we offer the most successful patterns as Original remakes made by Daniela Veya, the daughter- in law of Louis Veya, tied in the original way in the Jura mountains/ Switzerland with the original materials, but on barbless hooks. We will present here for the interested fly tier all these beautiful and successful patterns- you may try to remake them. Find at Swissflies the high quality Swiss straw SwissR colored in the original colors, as well as the CDC "Swiss Jura CDC", from the original source which was used by Veya. 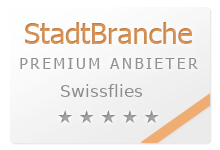 You get a unique piece of fly tying art, handmade in Switzerland. 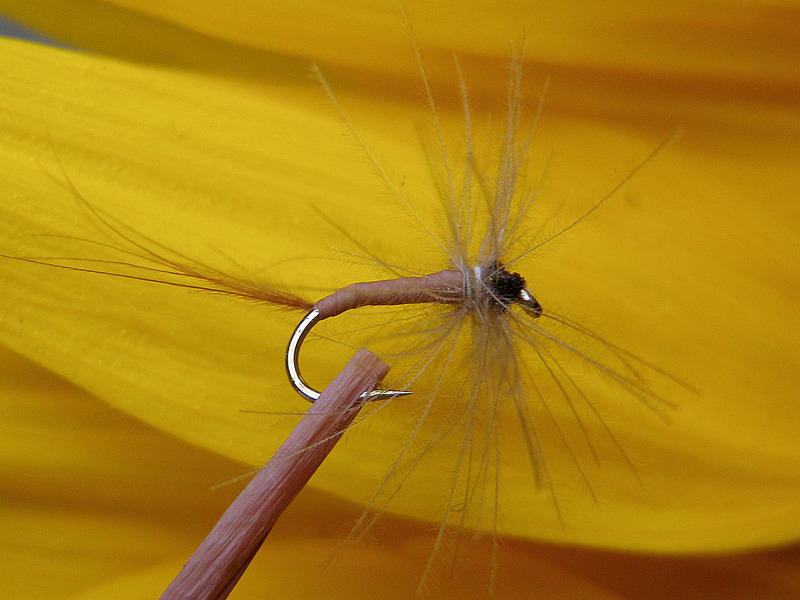 The moustique lie de vin of Veya is one of the first and most successful CDC flies ever tied. Use it in summer and autumn for difficult trout and grayling- you will be surprised. Sold worldwide, no additional parcel fee. During high sun, the CDC fly moustique rouge de sang of Veya makes rise the trout and grayling otherwise seeming to be "potted". 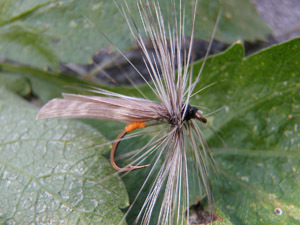 The best imitation for the BWO and other olive duns. 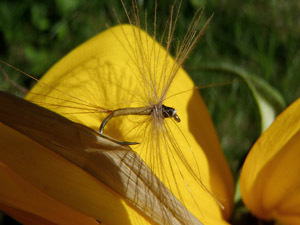 Best used in early summer for trout- and in autumn for grayling. Big sedge for fishing in the night. 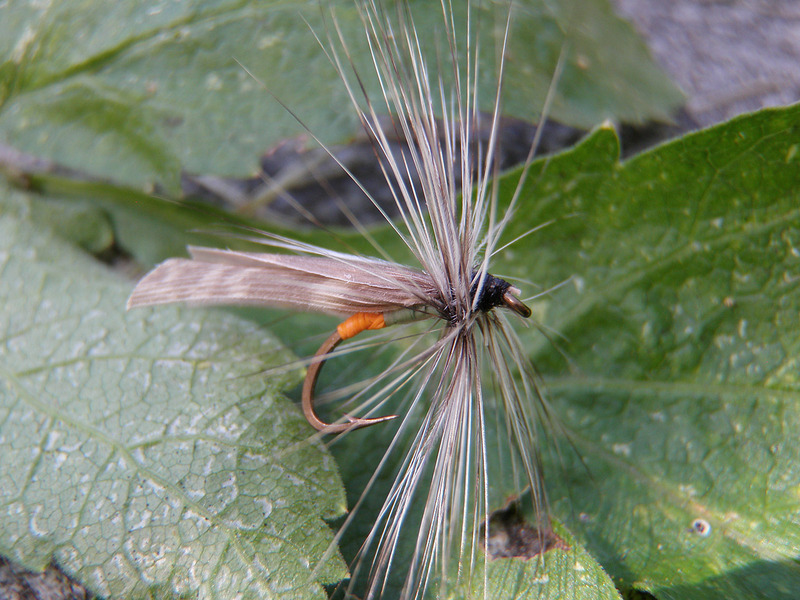 This sedge was the favourite of Veya- and produced up to eight kilos of trout in one single night on the Doubs river.The double hackle brown/ grizzly makes the fly swim high. Drag the greased fly on the surface. 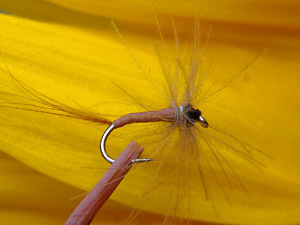 You will be happy that this fly is tied on a strong high quality hook...!